PLAY. We all do it: wordplay, love play, role-play; we play cards, play sport, play the fool, and play around. And that's just the grown-ups! It features in every aspect of our lives, whether we call it by that or another name. We all do it, but why do we do it? What does it mean to play and what, if any, difference does it make to our lives? Most crucially, and central to the theme of this book, is the question, 'Does play have a positive impact on our health and wellbeing, and consequently a role in modern healthcare delivery?' 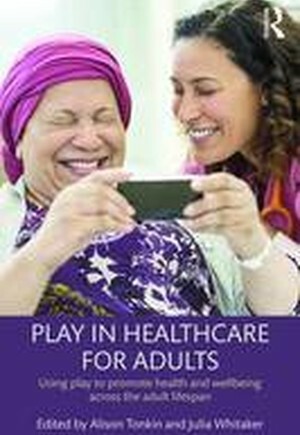 The contributors to this book provide a comprehensive overview of how play and play-based activities can be used throughout the adult lifespan to promote health and wellbeing within the context of healthcare service delivery for patients, their families and communities, and for the staff involved in their care. Responding to current global health concerns such as obesity, coronary heart disease, dementia and mental health, the book argues that play and playfulness offer a means of protection, promotion and recovery of positive health and wellbeing. The human tendency for play and playfulness as essential to personal growth and development lie at the heart of the discussion. This book will be of interest to all those working in health or social care settings, including nursing, social work and allied health students and professionals and those working within the therapeutic disciplines of art therapy, music therapy, and recreation alliances.